Recently I finished reading the book Sticky Faith: Youth Worker Edition. I have heard many good things about this book and have had a copy of it myself for awhile, but I never got around to reading it. I’m glad I finally picked it up and read it because it has been one of the most challenging youth ministry books I have ever read. Sticky Faith: Youth Worker Edition is all about how youth workers can help develop long-term faith in teenagers. Let’s face it, if you have been in youth ministry for any stretch of time you know that many teenagers abandon the church and their faith after they graduate high school. Forty to fifty percent of teens who are connected to a youth group when they graduate high school will fail to stick with their faith in college (page 15). Based on research done by The Fuller Youth Institute, Sticky Faith: Youth Worker Edition outlines the various factors that helps develop long-term faith in teenagers. The factors include things like the Gospel, identity, justice, parents, the youth group itself, and a few more. Each factor helps youth workers understand what develops long-term faith in teenagers. Each chapter is broken down into two parts. First, the “sticky findings.” This is the part the writers tell you what the research found in regards to that factor. 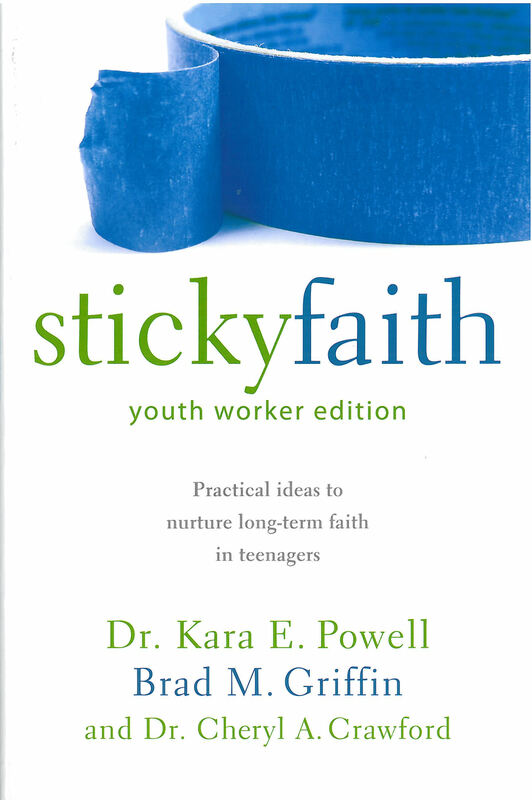 Second, the “sticky faith made practical.” This is where the writers helps youth workers understand what they can do practically in their ministries to help develop long-term faith in teenagers. I especially enjoyed the chapter on family relationships (chapter 6). At the end of the day, parents are the ones who are responsible for teaching and pointing their children to a healthy relationship with God. Youth workers just come alongside the parent and partner with them in this process. In fact, teenagers are heavily influenced by their parents when it comes to matters of faith. “Most teenagers and their parents may not realize it, but a lot of research in the sociology of religion suggests that the most important social influence in shaping young people’s religious lives is the religious life modeled and taught to them by their parents” (page 117). This shouldn’t come as a surprise, because this is how God intended it (Deuteronomy 6:4-9). This chapter on family relationships was huge for me and helped me better understand why parents are so important in the faith development of teenagers. Also, it helped me understand how I can better partner with parents. Overall, this was a great read and I’d recommend it to anyone who is a volunteer or paid youth worker. Our calling is to not just create a large youth group that teens love, but create a ministry that helps teenagers develop long-term faith that will outlast their youth group experience.